New Dodge Journey in Lexington | Helms Motor Co. Since 1963, we’ve had four generations of the Helms family managing daily operations. Chances are, you’ll interact with at least one during every visit, and we assure you that you’ll always be treated like family, by family. Love the vehicle so much you would like to get more Info? Don’t see what you want? Contact us about our National Locator! New vehicle pricing includes all offers and incentives. Tax, Title and Tags not included in vehicle prices shown and must be paid by the purchaser. While great effort is made to ensure the accuracy of the information on this site, errors do occur so please verify information with a customer service rep. This is easily done by calling us at 888-547-2425 or by visiting us at the dealership. 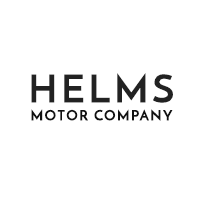 Helms Motor Co.	35.6413919, -88.3788723.